It's hard to believe that this week marks my three-year wedding anniversary. It's been an incredible ride and I'm truly looking forward to what the future holds for me and the man who's still the man of my dreams. I think one of the keys to a healthy marriage is to embrace your similar interests and to find hobbies that both parties truly enjoy. My husband and I find a lot of joy cooking together. With a little one it's sometimes tough to block enough time for both of us to cook but when we do we have some very specific go-to recipes. 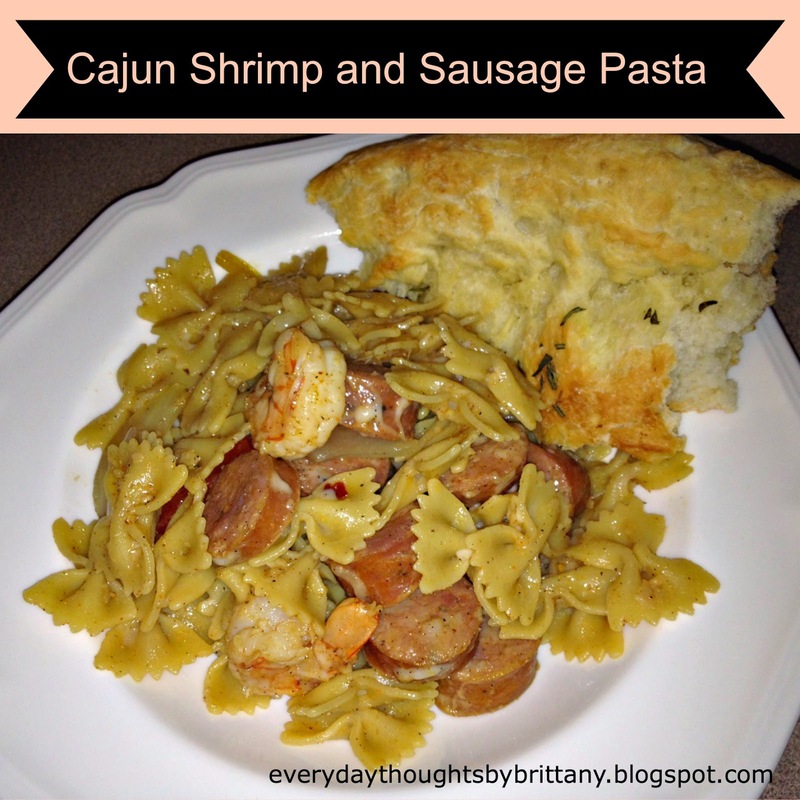 The one that's most near and dear to our hearts in our Cajun Shrimp and Sausage Pasta because not only did we create the recipe, we made it together the first time we had his parents over for dinner while we were dating. 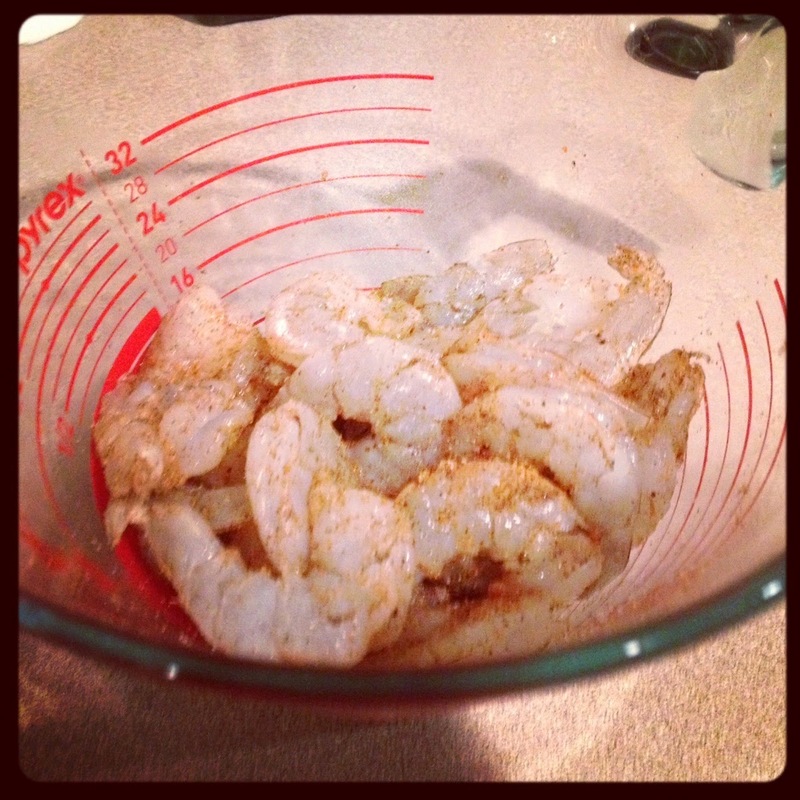 Place shrimp in a large bowl and sprinkle with 1 tablespoon of the Slap Ya Mama Cajun Seasoning. 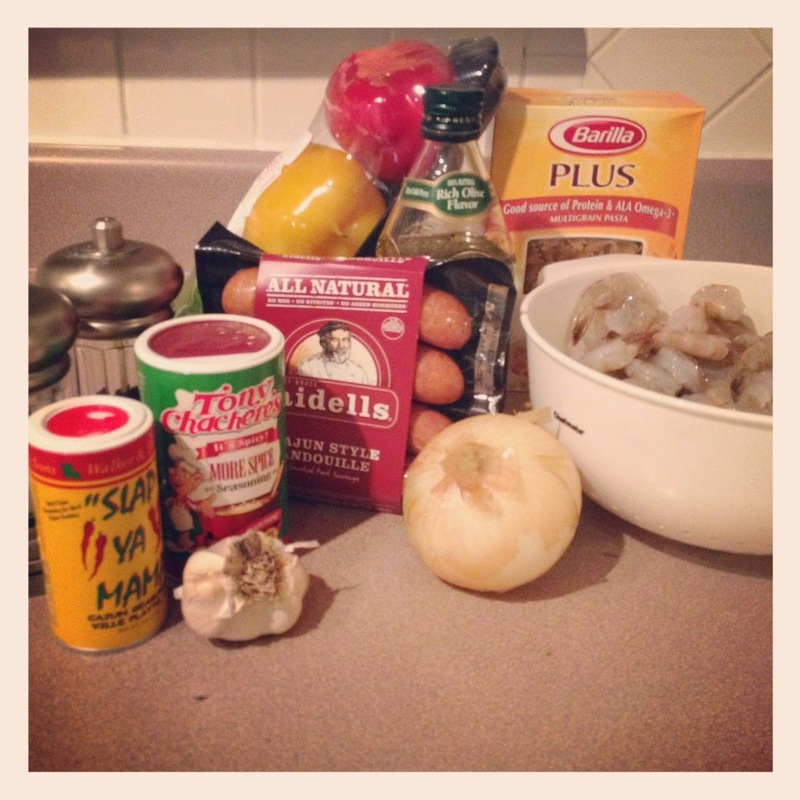 Stir so that the shrimp is well coated, set aside. 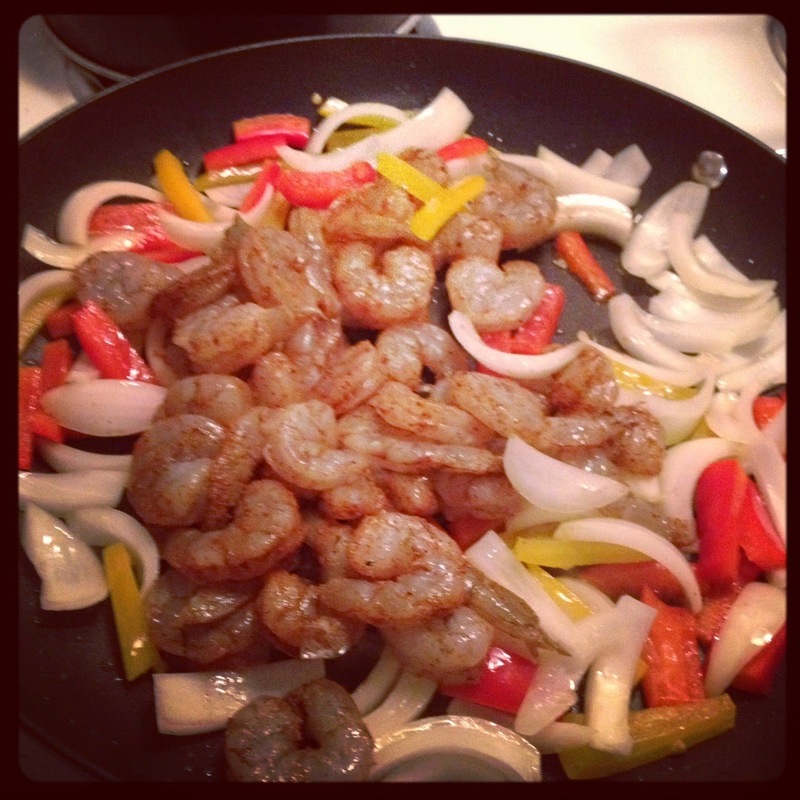 Cook the shrimp for about 3-4 minutes or until the shrimp turns pink and is fully cooked. 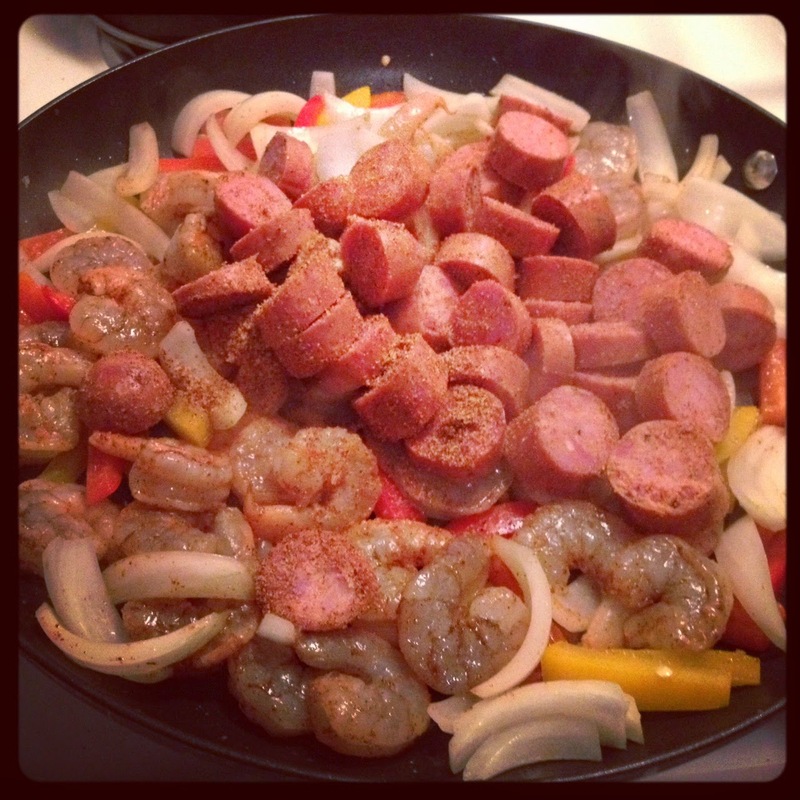 Similar to the shrimp, use the remaining 1 tablespoon of Slap Ya Mama Cajun Seasoning to coat the andouille sausage. Add the remaining oil to the skillet if necessary and cook the andouille sausage in with the shrimp and vegetable mixture for about 3 minutes or until sausage is fully cooked. This looks delicious! I'm drooling! It's so delicious and just spicy enough to give it a kick without being aggressive! Happy, happy anniversary! That definitely looks like a delicious recipe!! Thanks so much Lizzy! I hope all is well! 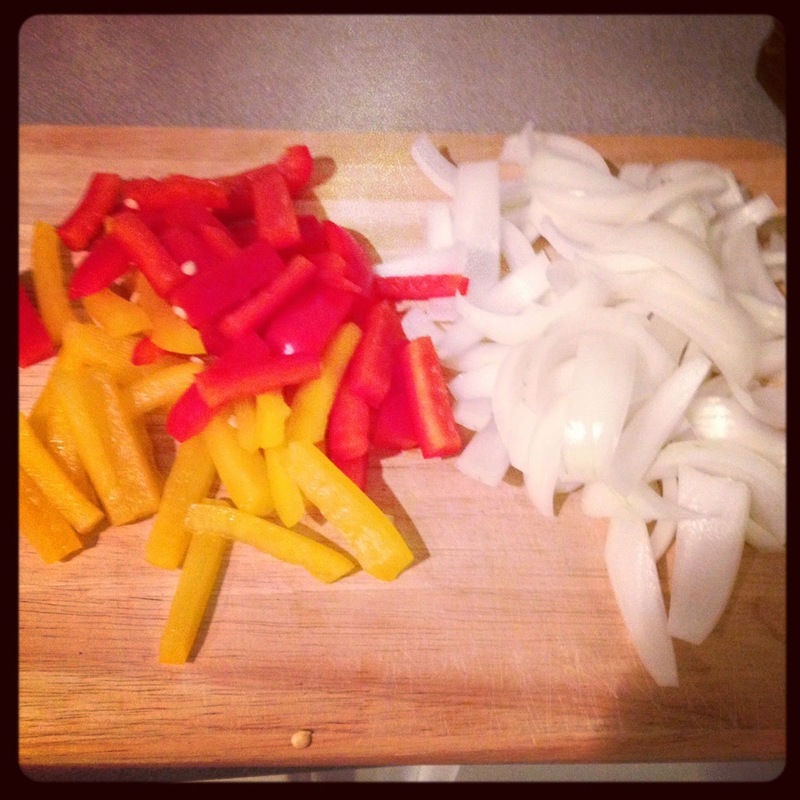 My fiance hates cooking, but he's perfectly happy chopping veggies for me. That counts as cooking together right? Stopping by from Whispering Sweet Nothings! That totally works as cooking together! 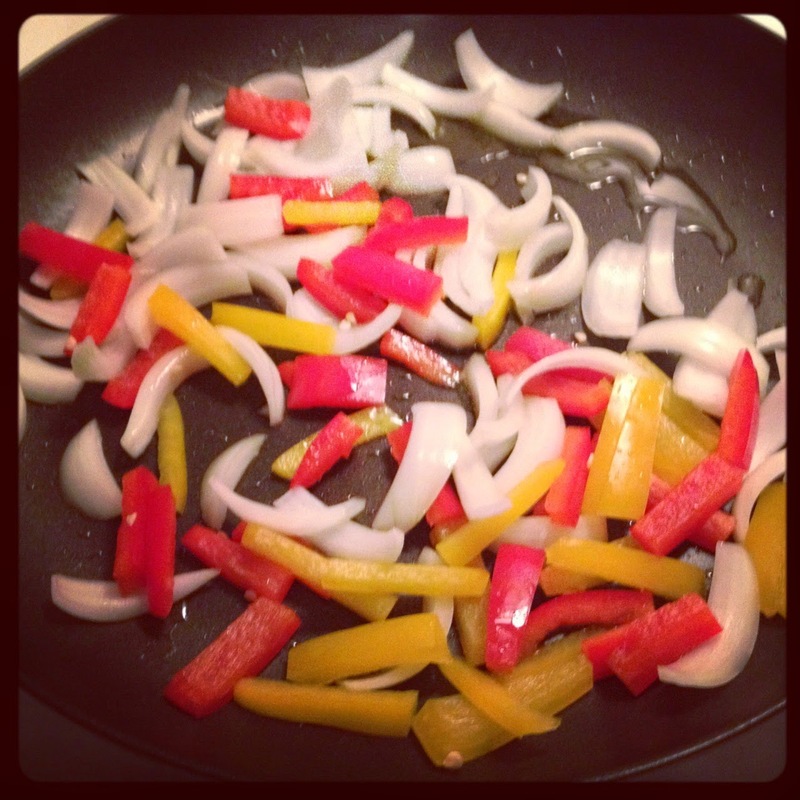 My husband took a much greater interest in cooking after we got really good knives. It must be a "guy thing". Thanks so much for stopping by!